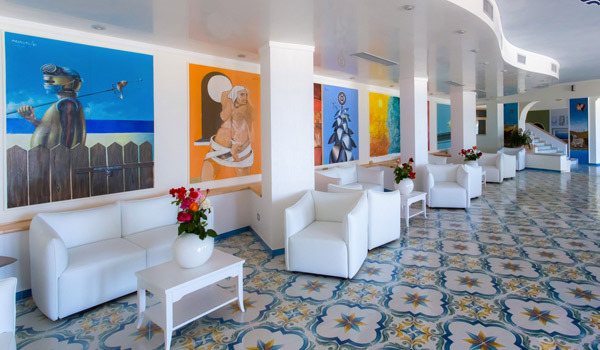 Known as the “City of the Murales” or city of murals, the walls of its historical town centre are entirely decorated by some 200 works of art. 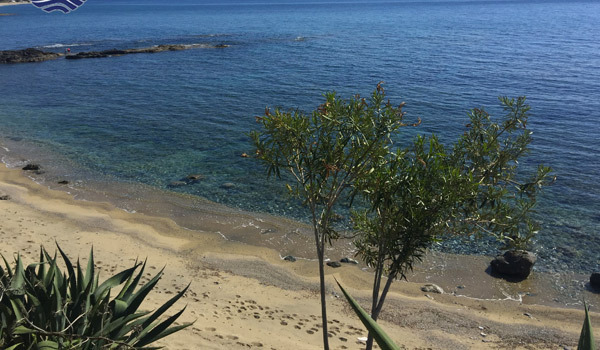 Another nickname is the “Pearl of the Tyrrhenian sea” as the writer Matilde Serao called it. 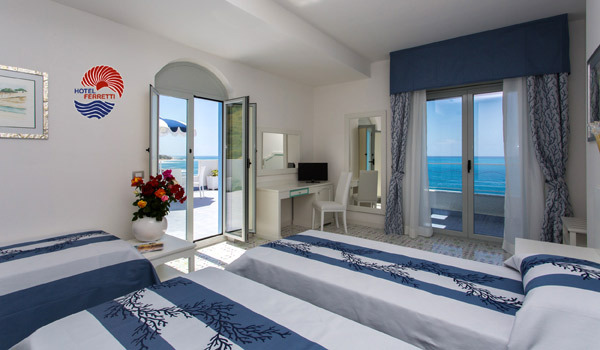 Diamante is one of the most exclusive locations on the Calabrian coast of the Tyrrhenian, boasting some of the Cedar Coast’s beast beaches. 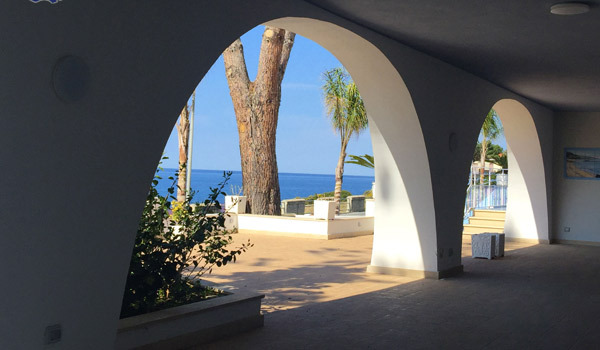 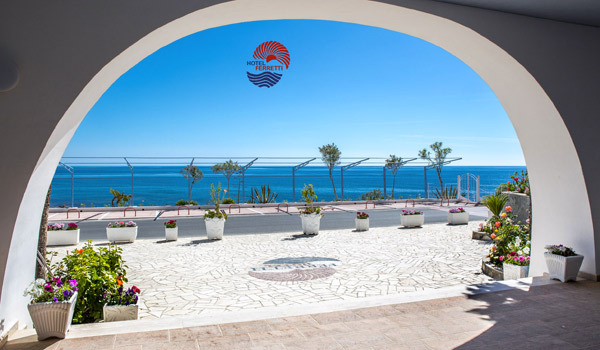 Hotel Ferretti, in Diamante reserves a stretch of private beach for its guests looking onto a crystal clear sea; just a few steps from the structure, the private beach and lido also has a traditional restaurant. 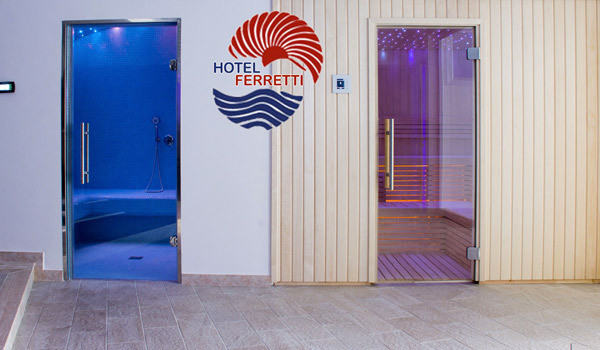 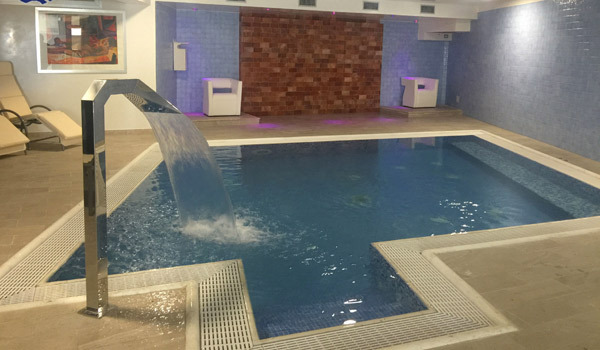 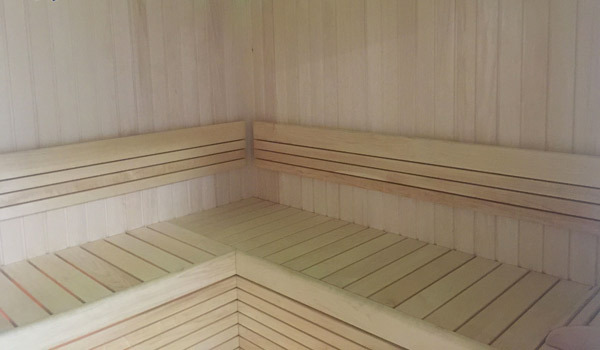 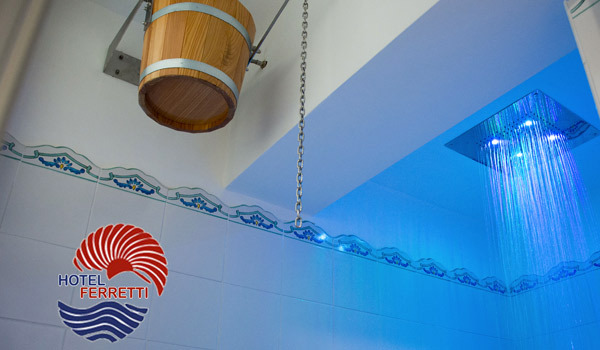 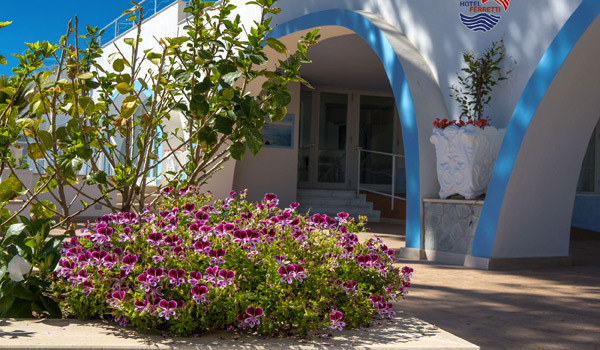 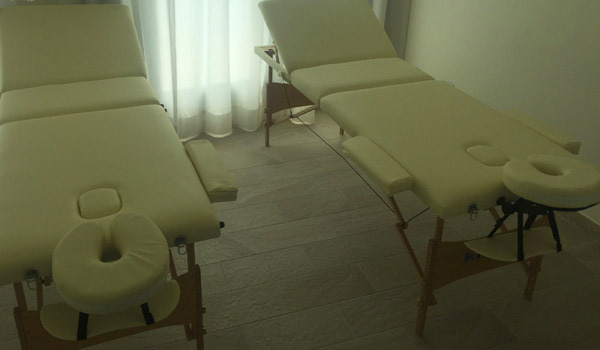 And after a day at the seaside, guests of Hotel Ferretti can enjoy a wellbeing experience at the Spa with its swimming pool, massage jets, sauna, sale wall and massage room. 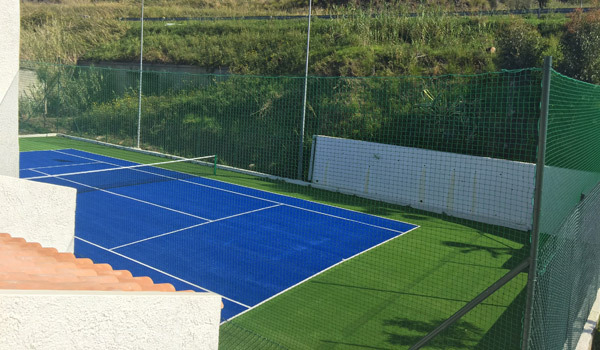 Alternatively you can play tennis on the astroturf court at the hotel, or workout in the gym with its modern equipment. 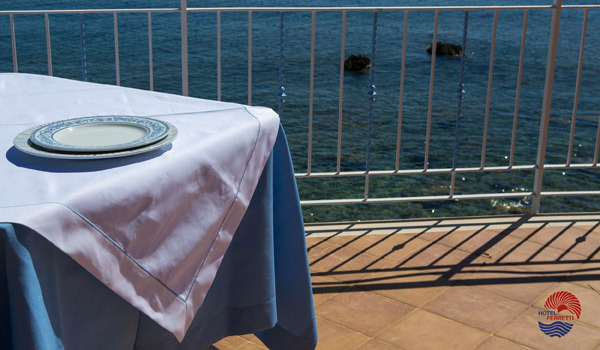 End the day by delighting in a selection of dishes from the hotel Restaurant’s chefs, perhaps served on its panoramic terrace. 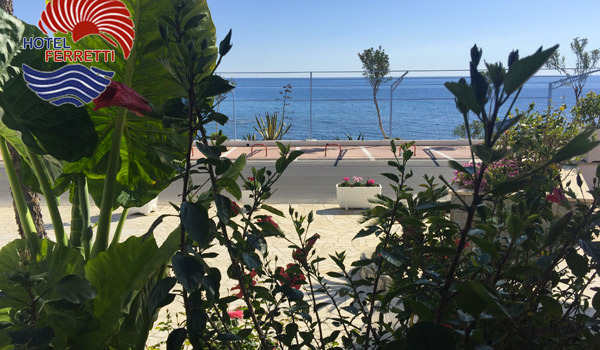 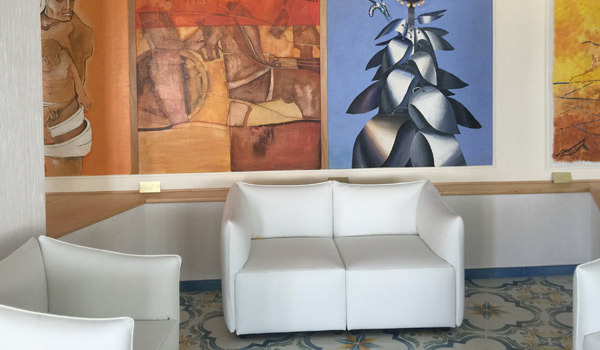 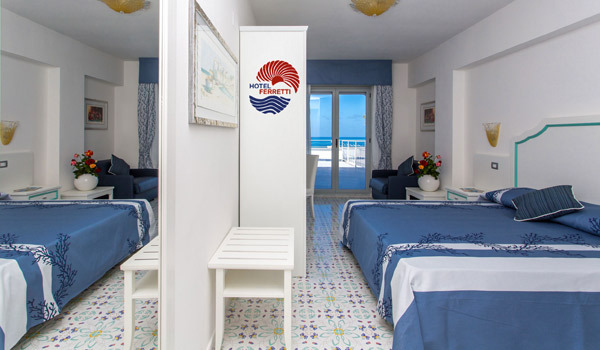 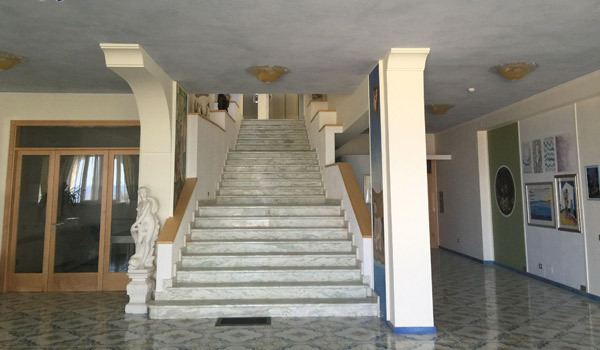 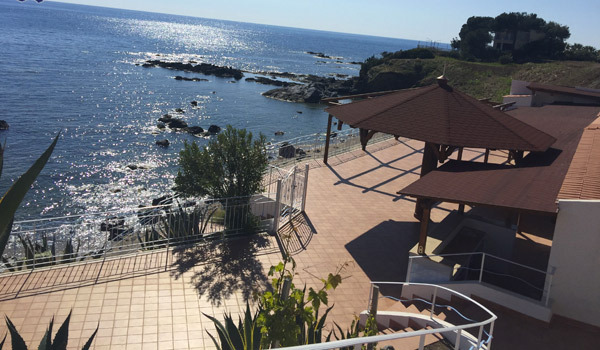 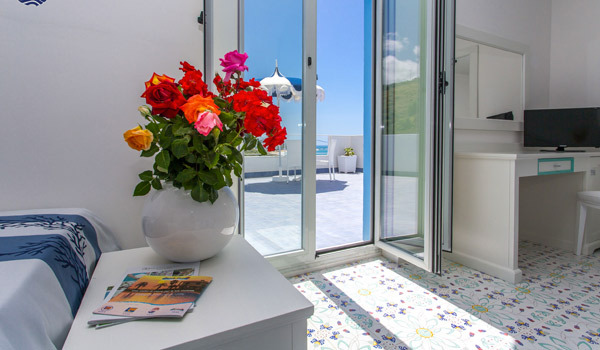 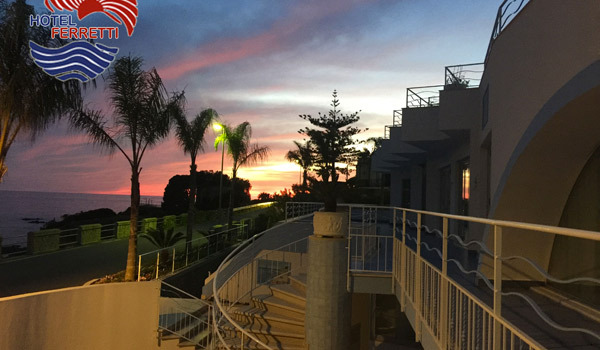 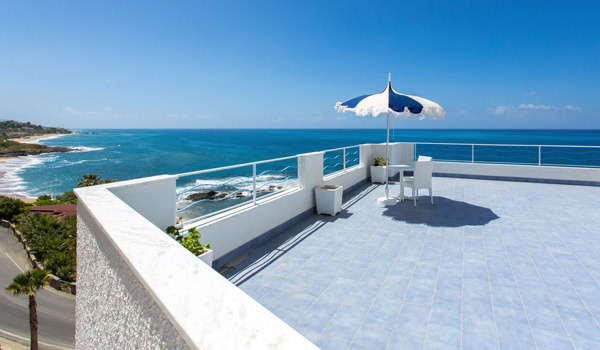 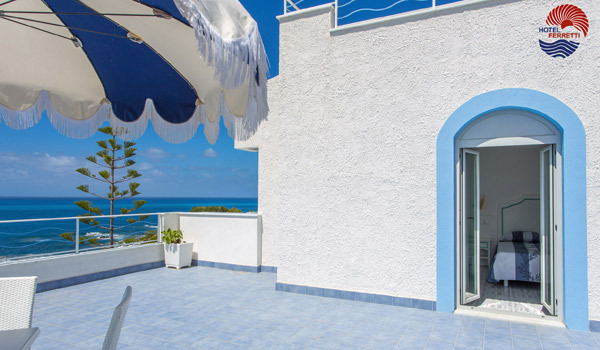 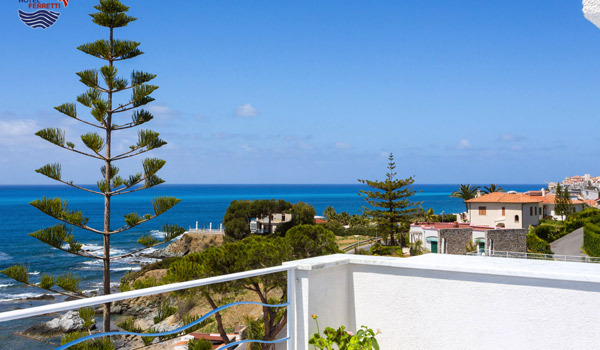 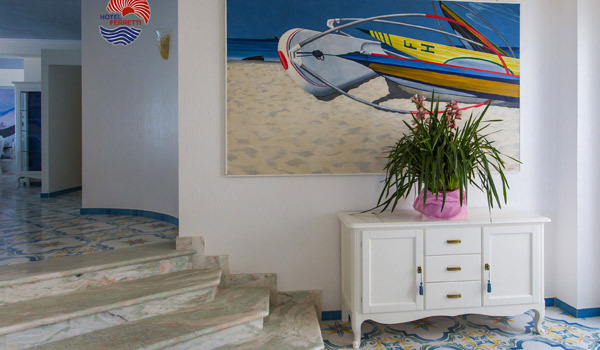 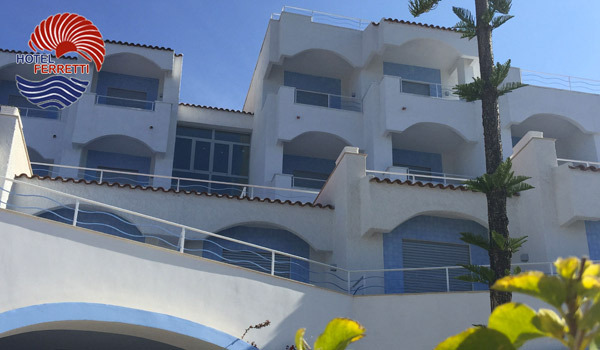 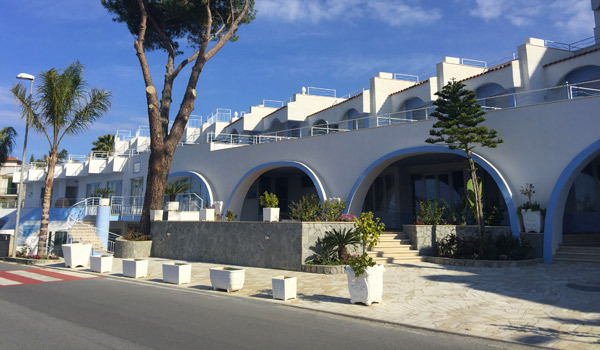 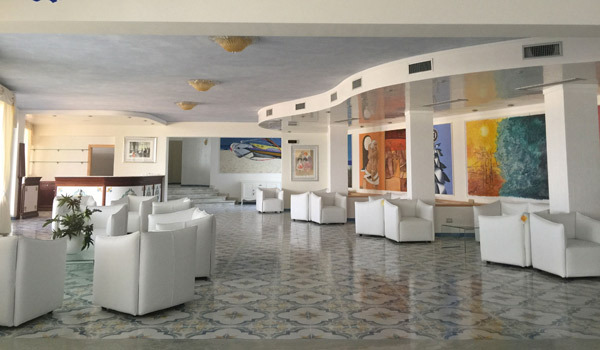 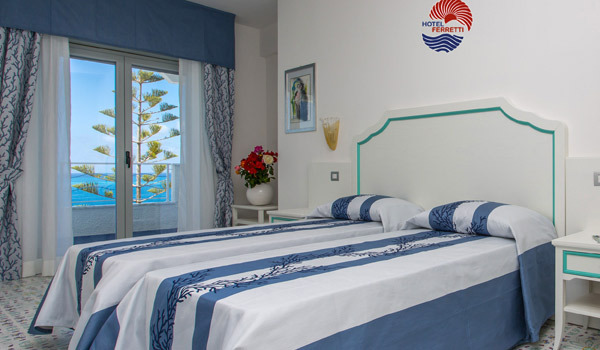 Hotel Ferretti has rooms with balconies or private terraces, most of which with partial or full sea view, parking, garage, and all the services you need for a perfect stay on one of Italy’s most famous coasts. 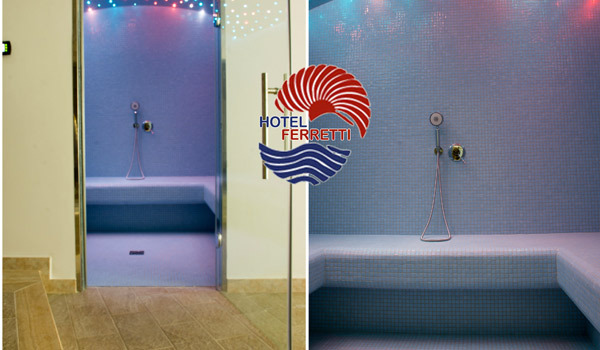 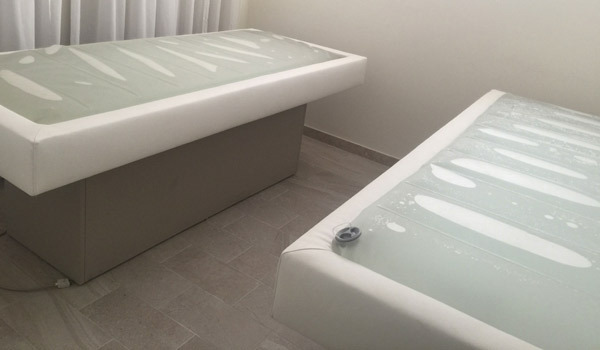 The Spa at Hotel Ferretti has an indoor pool with Jacuzzi jets, sauna, salt wall and massage and treatment room. 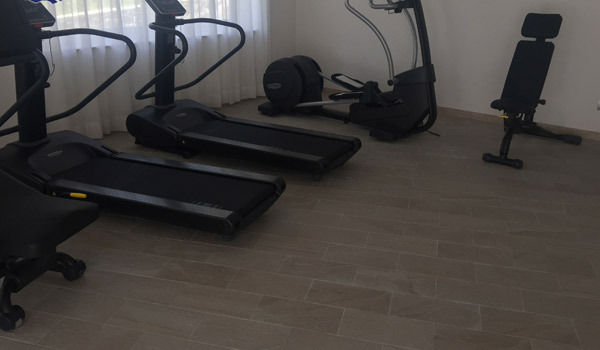 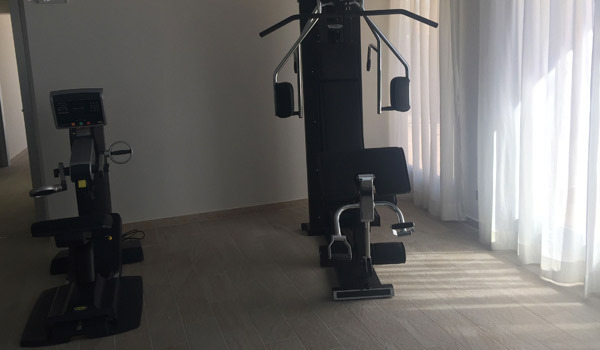 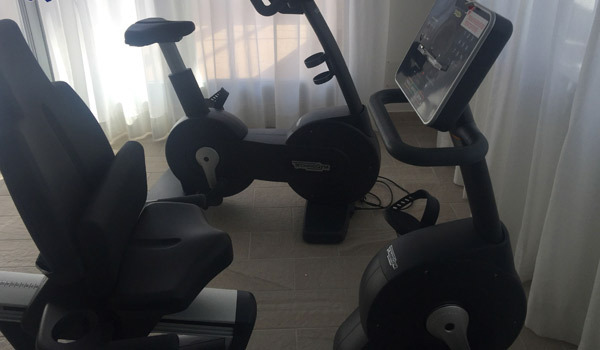 In the Wellness Centre there is also a gym with modern equipment. 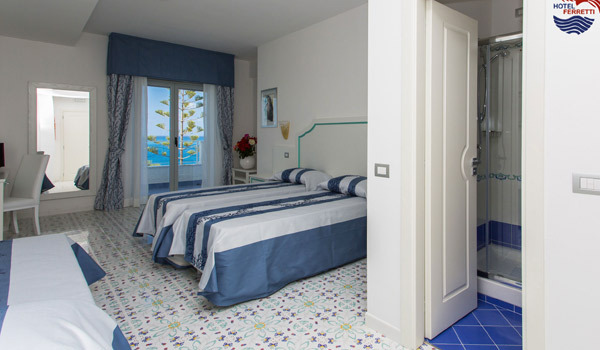 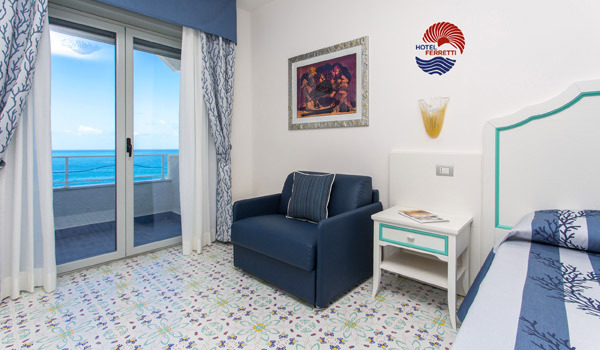 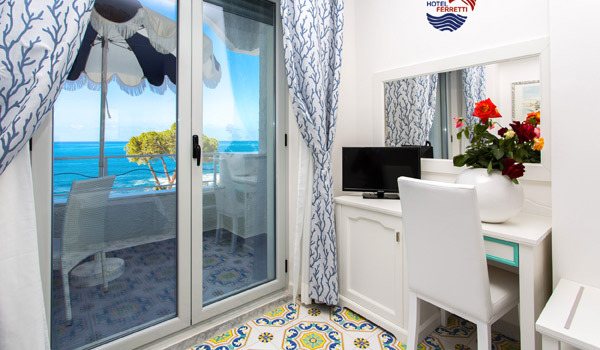 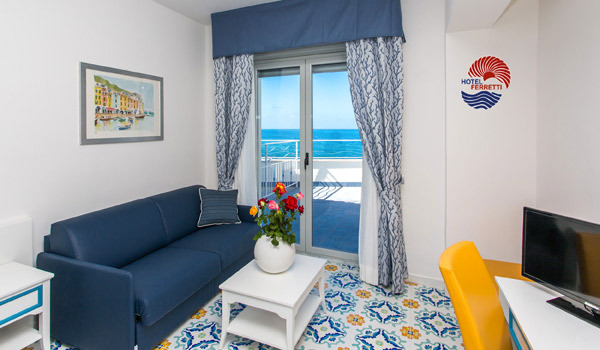 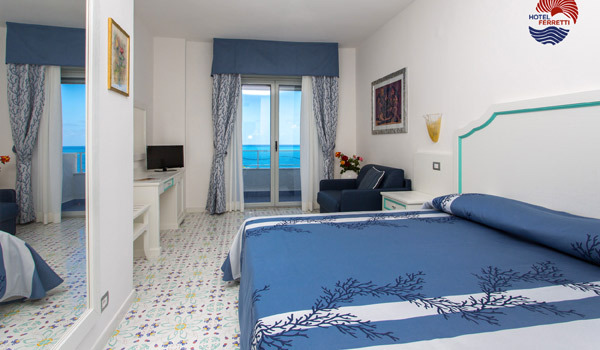 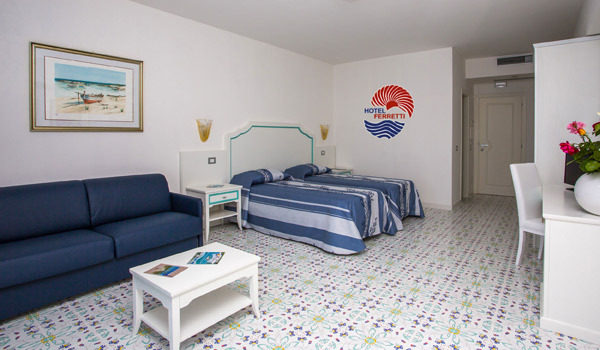 Rooms at Hotel Ferretti can be Standard, Comfort or Deluxe with sea view, Superior rooms instead can accommodate 4 people and have a sea view terrace. 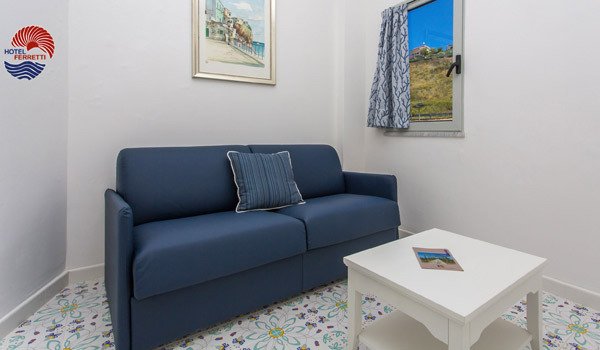 Then there are spacious Junior Suites or Suites with living room, balcony and accommodation for 5 people. 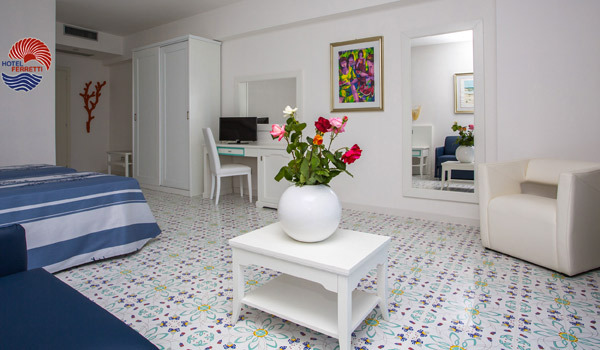 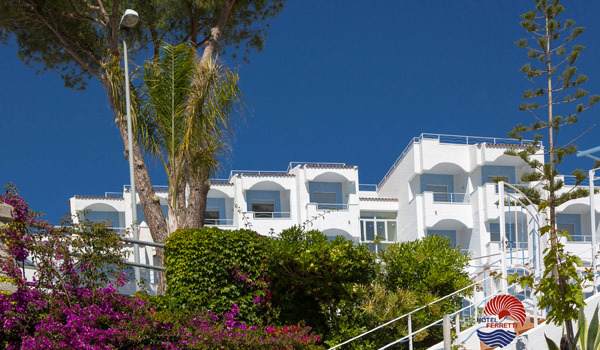 All accommodation has independent air-conditioning, telephone, satellite TV, safe, minibar and free Wi-Fi. 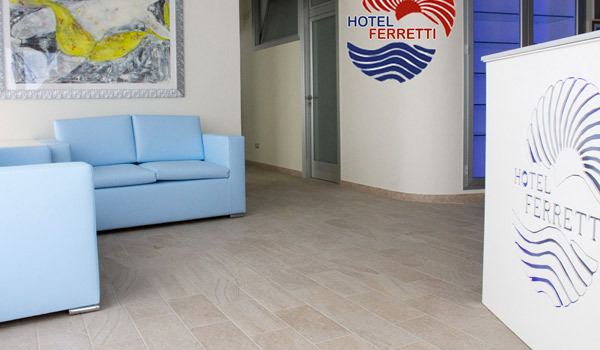 The restaurant at Hotel Ferretti serves local dishes with fish as well as international meals, accompanied by the finest local wines. 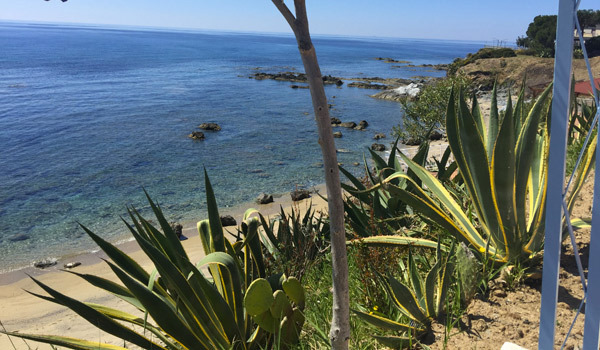 Heading north towards Praia a Mare, you pass by some of Calabria’s most beautiful beaches and some sanctuaries to visit. 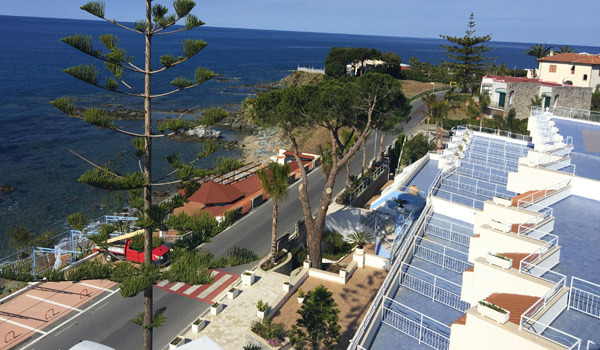 Scalea is worth stopping at – this little village is well-known not just for its local beaches but also for its medieval ruins, its Churches and its old town crisscrossed narrow and intricate, characteristic alleys. 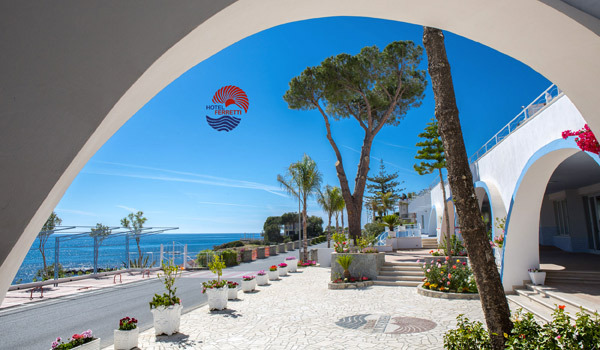 Further north along the coast lies Maratea, where you can admire ancient ruins and the imposing statue of the saviour or Statua del Redentore, situated on the peaks of Monte San Biagio.